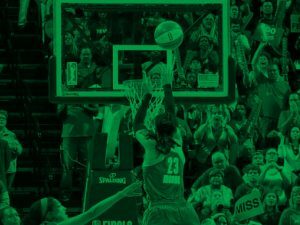 Minnesota Lynx President’s Circle – The Minnesota Lynx President’s Circle is an elite and exclusive club for our most die-hard and committed Lynx supporters. The Minnesota Lynx President’s Circle is an elite and exclusive club for our most die-hard and committed Lynx supporters. 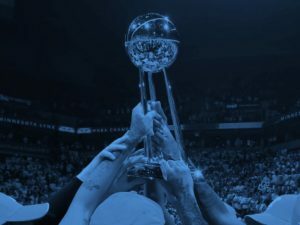 Take your passion to the next level with this innovative program, which will provide unique, insider access to the Lynx franchise, a creative way to give back to the community, membership to a special advisory committee, and once in a lifetime experiences and memories. Don’t miss your opportunity to be in the inner circle of the historic Lynx dynasty. Welcome to one of the most exclusive and innovative programs in professional sports. 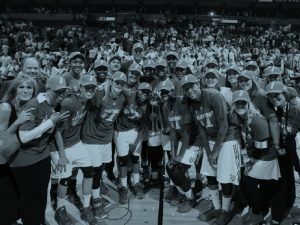 This elite club is the first of its kind in the WNBA and will give you unparalleled access to one of the greatest dynasties in the history of the WNBA. The President’s Circle also offers unique opportunities to give back to the community, promote a nonprofit or cause that you are passionate about, and help us make the world a better place. As we enter our fourth year of the President’s Circle, we invite you to join our inner circle and help us support gender equality, celebrate diversity, and continue to move the Minnesota Lynx, the WNBA, and women’s professional athletics forward. The President’s Circle Members are the top women’s athletic advocates in Minnesota and believe sport can be a vehicle of change in society. They include trendsetting companies, passionate Lynx supporters, driven nonprofits, political leaders, and women owned businesses. Each member is a leader in the conversation of gender equality in our community. The Minnesota Lynx President’s Circle is an elite and exclusive club for our most die-hard and committed Lynx supporters. Don’t miss your opportunity to be in the inner circle of the historic Lynx dynasty. Enjoy the highest level of access to the Lynx franchise, giving back to the community and a cause you are passionate about, dinner with the WNBA President, a private appearance by a Lynx star or coach, and once in a lifetime personalized experiences. 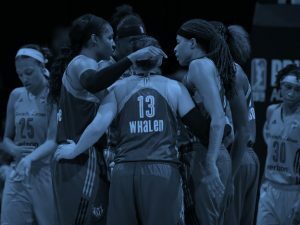 Enjoy an elite level of access to the Lynx franchise, personalized experiences, giving back to the community, dinner with the WNBA President, and an exclusive post-game locker room VIP experience. Enjoy exclusive access to the Lynx franchise, a personalized experience, giving back to the community, and dinner with the WNBA President. Enjoy inner circle access to the Lynx franchise, giving back to the community, and dinner with the WNBA President.